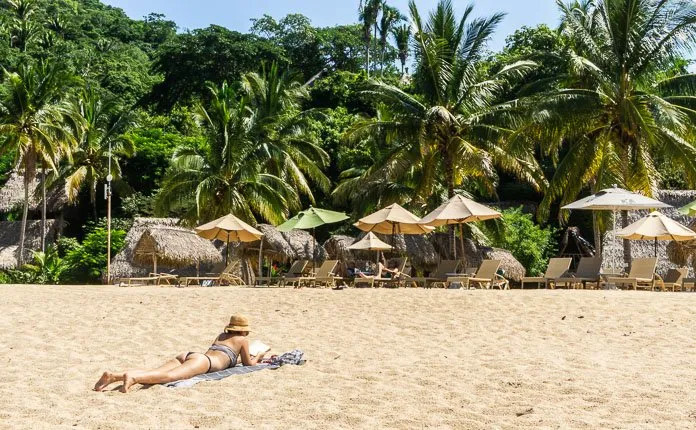 The small alcoved beach town of Yelapa is quickly gaining a reputation. 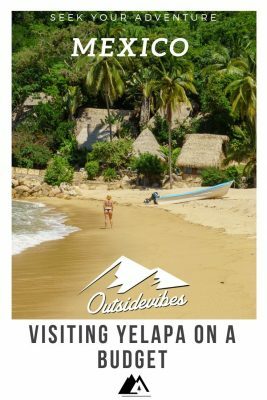 Beautiful, wild and still widely unknown, visiting Yelapa on a budget is possible, as of right now. This jungle town is going to be Puerto Vallarta’s next big thing. 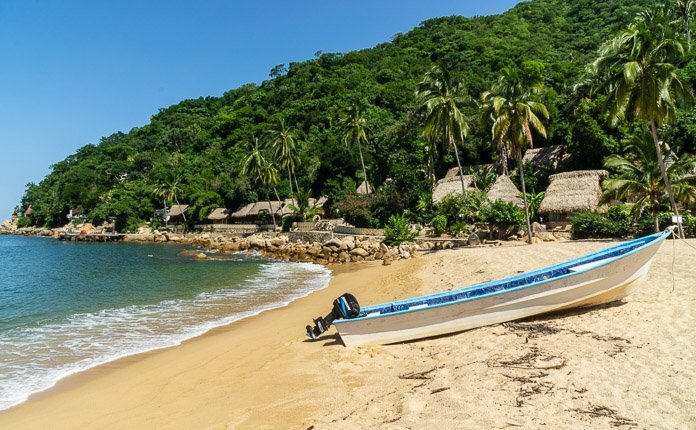 Yelapa is located an hour and a bit south of Puerto Vallarta. Hidden by dense tropical jungle the only way to gain access to Yelapa is by boat. As the picturesque coast flows by you will find yourself transported to a different world. The hills and jungle surrounding Yelapa are more akin to something you would find in southern Central America. Arriving by water is the only way to get to Yelapa and you have two similar choices on how to arrive. The first would be to take a water taxi from the pier in Puerto Vallarta, located at the southern end of the Malecon. Called Playa Los Muertos Pier. The cost is 350 pesos return or 175 pesos one way. The boat takes 45 minutes to an hour to arrive. Wild Tip: When getting dropped off at Yelapa the taxi boat will drop you off on the main beach, in the water. When leaving Yelapa the taxi boat will pick you up on the pier located on the northeast side of the beach. 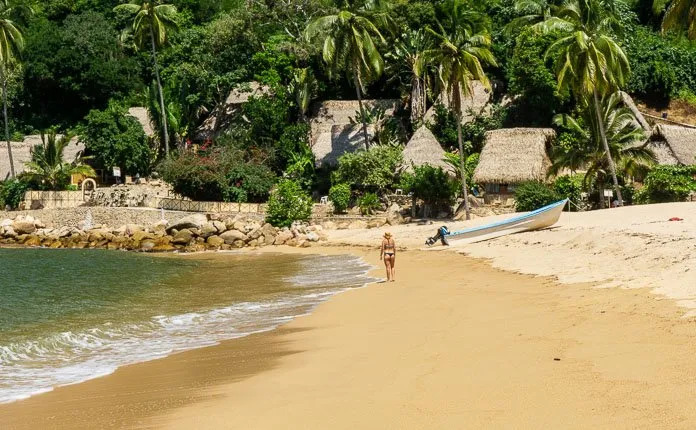 The second option on how to get to Yelapa is to first take the local bus bound for Boca de Tomatlan before transferring to a water taxi there. The bus to Boca is located just past Nacho Daddy on the corner of Basilio Badillo and Calle Constitucion. The bus is orange and white, there will be a few lined up together, next to the OXXO. This is a busy bus route so you might have to wait in line. Look for Parada de Camiones a boca de Tomatlan. Cost for the bus is 8 pesos and it takes roughly 30 minutes to arrive. Once arriving in Boca de Tomatlan you walk down the hill into town. 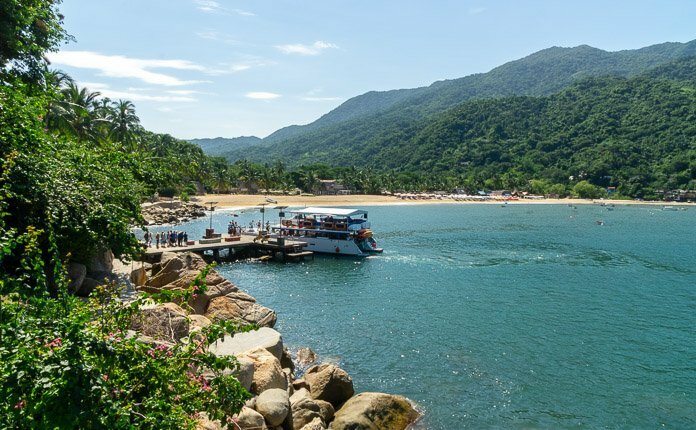 Take a right and head to the east side of town to find the pier for your boat to Yelapa. You will be asked by many guys to buy a ticket for the boat. They all charge the same fixed rate of 90 pesos each way. The boat ride takes less than a half hour. Boats leave Boca every hour starting at 8 am going until 6 pm. Wild Tip: You must be careful with the restaurant vendors where the boat drops you off. They are used to day tourists from cruise boats and will tell you anything to get you to sit down and enjoy a very overpriced drink, like your first drink is free, but it is a lie and you will get stuck with 140 pesos margaritas or 50 peso beers. During high season there are quite a few places to stay in Yelapa. You can either stay in town, on the beach or on the opposite side by the beach. The price varies from reasonable to quite expensive. We stayed at Casa Bahia Bonita. The room was great, we had a lot of space, a kitchen and a bug net at night. Because we were there during low season we were the only ones staying at the hotel and we did not have internet, it was shut off for low season. Having no internet was okay, we spent most of our time at the beach anyway, and if we needed WiFi Hotel Lagunita had a great connection on the beach. Enjoying the amazing beach – The beach might be small but if you bring your own sarong and sit away from the restaurant chairs you can have a slice completely to yourself. 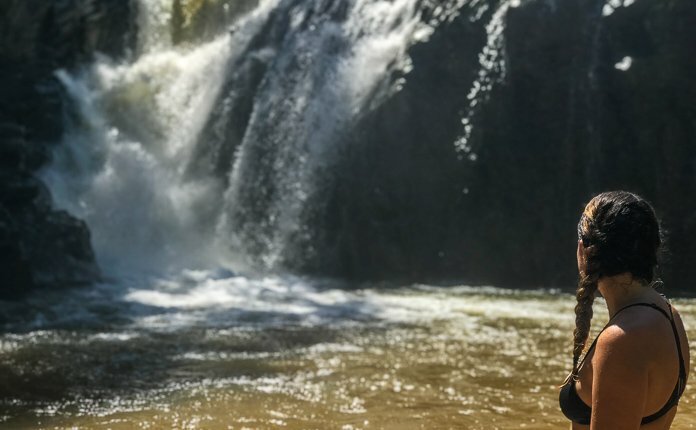 Hike the waterfalls – Yelapa is graced with two tall waterfalls. One is located in town, less than a 10 minute walk away from the main area. The other waterfall is an hour and a half hike away. Both waterfalls are worth a visit, the first one because it is so close and the second because the hike is easy and the waterfall is stunning! 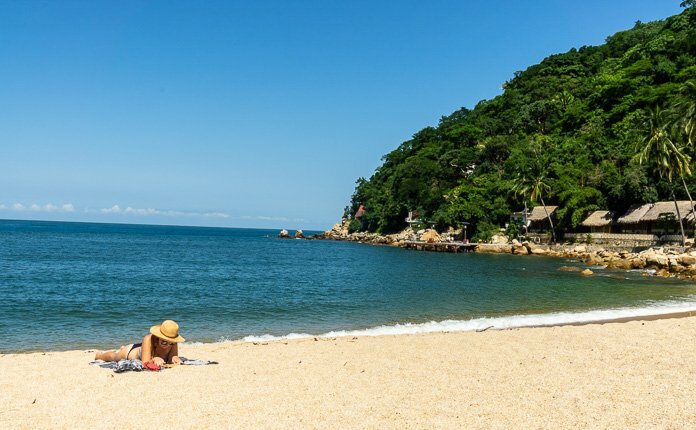 Explore the town of Yelapa – Diminutive in size, Yelapa is quick and fun to explore. 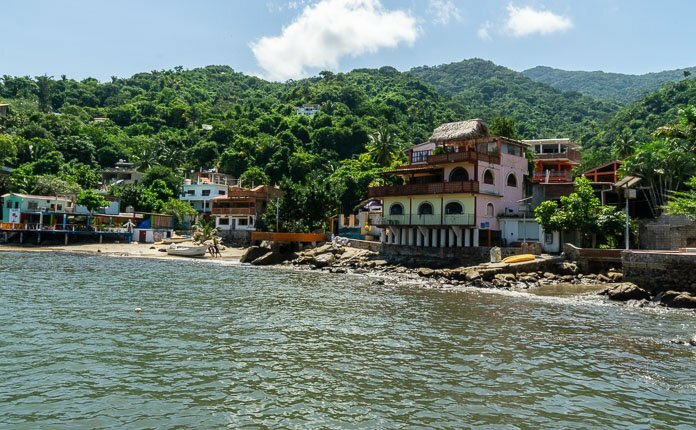 Even-though everything has to be brought in by boat, Yelapa has plenty of restaurants and shops to check out….if your visiting in high season. During low season most of the restaurants and stores in town are completely closed. The only places that stay busy year round are the beach restaurants, where tour boats drop people off for the day, and the small convenience shops. If you are not staying in town it’s kind-of a headache to get there, you either have to wade across the river or walk 40 minutes to the pedestrian bridge and down. Staying on the opposite side of town we found ourselves going to Hotel Lagunita quite often. Hotel Lagunita is located on the beach, the food and drinks are decently priced and the staff is very friendly. My girlfriend and I spent 6 nights in Yelapa on a budget. We stayed on the other side of the beach, opposite town, which was cheaper. Which was perfect for us as were completely secluded. We did more trips than necessary into town but it was not too bad of a walk, and the river crossing was always interesting. The main waterfall hike was the highlight of my time in Yelapa. The beach was also surreal, which was Emma’s favorite part. 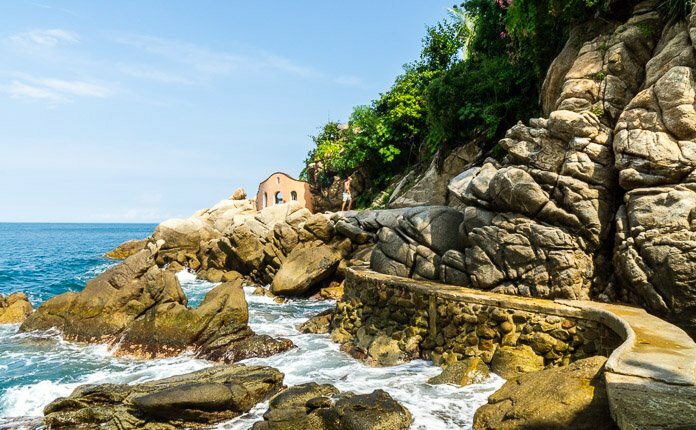 To discover more budget secrets for this part of Mexico visit the Destination Mexico page or check out my 5 Expert Ways to Experience Puerto Vallarta on a Budget.